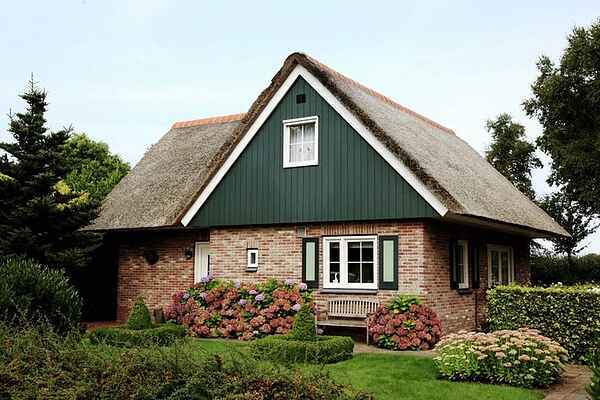 The detached thatched villas on villa park De Weerribben are very comfortably furnished and equipped with all contemporary comforts. You have a dishwasher, a washing machine and WiFi. The garden doors in the spacious living room lend a spacious light character. You have the choice of various types of villa. There is a 4 person (NL-8378-01), a 6-pers. (NL-8378-02) and an 8-pers. (NL-8378-03). Whichever type you choose, the spacious plots (500 - 1000 m2) are always equipped with a charming terrace with garden furniture.